Standard and Stanpro have announced thier planned merger for later this year. Strategically this merger will utilize both companies strengths and capture synergies that will allow the combined entity to increase its value proposition and to invest and grow at an accelerated pace. - It will have core strengths in Construction Projects, Retrofit, & National Accounts. - It will have extensive business development capabilities at Specification, Contractor, and End-Users to create demand for its products and to support its distributor network. Combining the two businesses will be a major effort and we plan to “go live” as a combined business in the fourth quarter of this year once we migrate to a uniform platform on SAP. Between now and go-live, we will combine parts of the businesses that make sense while leaving other parts as is. For example, you will continue to call the same inside sales people, place purchase orders, and receive orders for Standard separate from Stanpro. 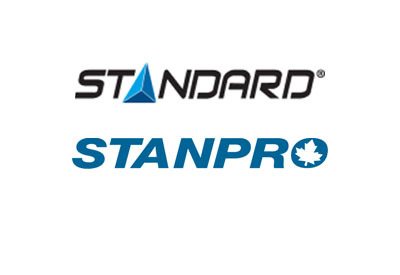 From an outside sales perspective, Standard & Stanpro reps will be able to offer you both Standard & Stanpro products for stock as well as for project and retrofit opportunities. At “go live” in the fourth quarter, the combined company name will change to Standard-Stanpro Inc. and all services and support will be integrated. Distribution centers and sales offices are in multiple buildings located in BC, Ontario, Quebec, & Nova Scotia. While we plan to keep the same footprint, we will eventually be consolidating into one facility in each area where we are in more than one property. In terms of Management, I will be the CEO of the combined business while Sam Rimoin will be President, and Rob Nadler will be Executive Vice-President. Sam & Rob have done a fantastic job building Stanpro over the past 18 years and have the experience and capabilities to take our business successfully into the future. This obviously has an impact on Kelly Hanson & Jason Prevost who are currently Standard’s President & Executive Vice-President. I can tell you that Kelly will stay involved with the combined business in a different role while Jason has business opportunities that he will be pursuing. At this time, I want to thank both of them for stepping up to the plate in the past year and for the tremendous value they have provided to Standard over the years. They are both wonderful individuals with tremendous capabilities and I continue to have absolute confidence in them. In the next week, we will be busy communicating and rolling out the plan to our employees and I will be providing you a further update on February 7th which will outline detailed changes that we will be implementing. I feel confident that our updated structure will allow us to serve and support you in an even more significant way moving forward. I am proud of the teams at both Standard & Stanpro and thank them for putting us in a position that allows us to join together. We will move forward stronger and more capable than ever to bring value to our employees, our customers, and the marketplace.